Comprising models XAS 90 DD7, A(T)S 130 DD7 and XAS 185 DD7 with Deutz engine are an innovative range of single axle, oil injected rotary screw compressors. Powered by the Deutz 2011 2- or 3-cylinder engine, Series 7 will provide a reliable source of compressed air to drive pneumatic tools including chipping- and jackhammers, nutrunners, grinders and rammers. High free air delivery applications such as sandblasting are also covered. An optional integral 6.5 or 12 kVA generator can be specified to prove additional power for welding, lighting, heating, site instruments and power tools. A wide range of further options, listed in outline at the end of this document, are also available. 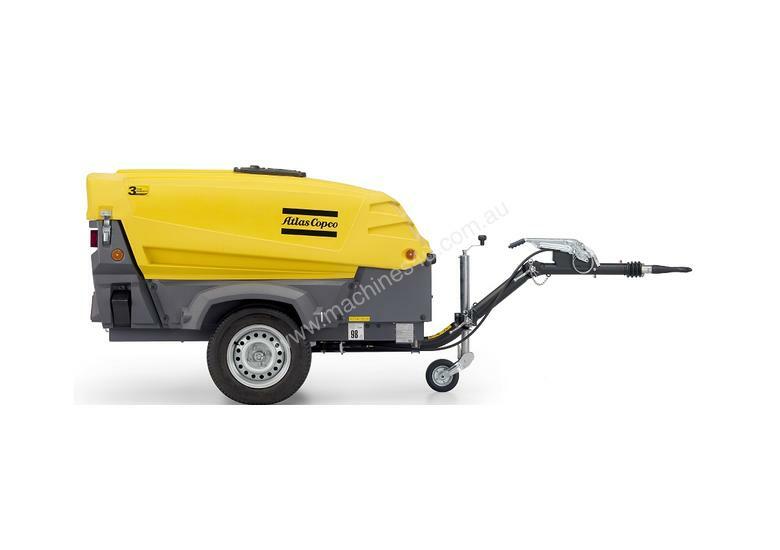 Atlas Copco designed a small single tool compressor, fitting the needs of the rental industry. The new XAS 90 KD7 use the proven Series 7 concept and are equipped with a 3-cylinder watercooled Kubota engine. They are developed with the rental customer in mind; small, easy to use and reliable. Atlas Copco’s stringent manufacturing standards follow ISO 9001 quality assurance regulations. All compressors are produced and tested to exacting standards for optimum performance in the most demanding conditions. 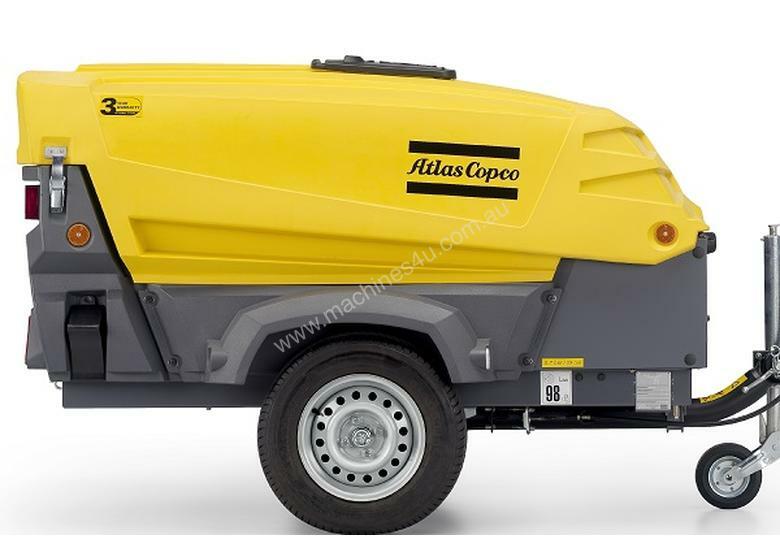 One in three compressors sold throughout the World is manufactured by Atlas Copco. Produced in the World’s largest dedicated compressor manufacturing plant, our advanced research and development and proven products ensure we offer the best solution for all your compressed air needs. A single, high performance two-stage air intake filter with service indicator is standard. It prevents dust and dirt particles from entering the engine and the compressor. All controls are grouped on a single panel, covered by a rigid plastic cover for safety and ease of operation. The removable side panels, front- and rear baffle and the one piece canopy, supported by two gas struts, provide fast and easy service access. All bodyparts are made of a new type of powder coated zincor steel for excellent corrosion resistance. The combination of a high efficient engine and the Atlas Copco compressor element guarantees high efficiency and reduced wear. Deutz 2011 engine used on XA(T,H)S 90 -185 DD7. A stepless and fully automatic regulator varying the engine speed ensures a reduced power and fuel consumption. In combination with the high capacity fuel tank, the Series 7 allows you to work a full shift without refueling.